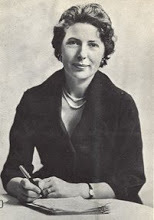 One of my favorite authors, Mary Stewart, passed away this past week at the age of 97. Coincidentally, or whether it was serendipity, I began rereading The Crystal Cave a couple weeks ago. I first read the Merlin series which consisted of The Crystal Cave (1970), The Hollow Hills (1973), and The Last Enchantment (1979) and Wicked Day (1983) back during the late 70's, early 80's. Periodically, I would pull them out and reread them. I read and reread all her books during that period of time, but unfortunately only kept the Merlin Series in my stacks. The series has always stood the test of time and each time I get something new out of them. I only have to hear one of the titles of her books such as Touch Not the Cat or Nine Coaches Waiting or The Ivy Tree or Airs above the Ground to be taken right back into the story. The guardian posted a wonderful obituary detailing her life, so be sure to check it out. If you've never read one of her stories, do yourself a favor and check her out. You'll be glad you did. In honor of Mary Stewart, read one of her books this year. I did not know that she died. I will get a book and read it in honor of her! My grandmother introduced her to me years and years ago! I'm so sad to hear this. I am a big fan of Mary Stewart. I love her books and her Merlin Trilogy has always been one of my favorites. Thanks for letting me know.